Every Monday & Thursday (6:15 – 7:30 pm), join us for some Hatha-style yoga, led by Juli Schuster, 200hr RYT, of Olive and Ash Yoga. 75 minute classes, beginning and ending with a short meditation, with a full hour of moving your body through alternating periods of movement and stillness. If you’ve never tried the Dynamic Yoga Method- you are in for a treat! 75 minutes to focus only on yourself in a judgement free, supportive environment. To top it off, a glass of Blumenhof wine afterwards! Your first class is FREE (includes a glass of wine for those who are over 21)! *Reservations are not required, but highly suggested and appreciated, as indoor space is limited to about 10 people. Phone 636-433-2245 to reserve your spot. Yoga Basics: A beginner, Hatha style yoga class, open to all abilities. This class is instructed utilizing the Dynamic Yoga Method- a method based on intelligent sequencing and self-inquiry. Students will be taught basic postures and core actions to support and open the body, while being guided to align movement with breath and focus attention on the present moment. Juli began her yoga journey 9 years ago when her doctor handed her a prescription containing one word- “yoga”. That was the beginning of a consistent home practice. 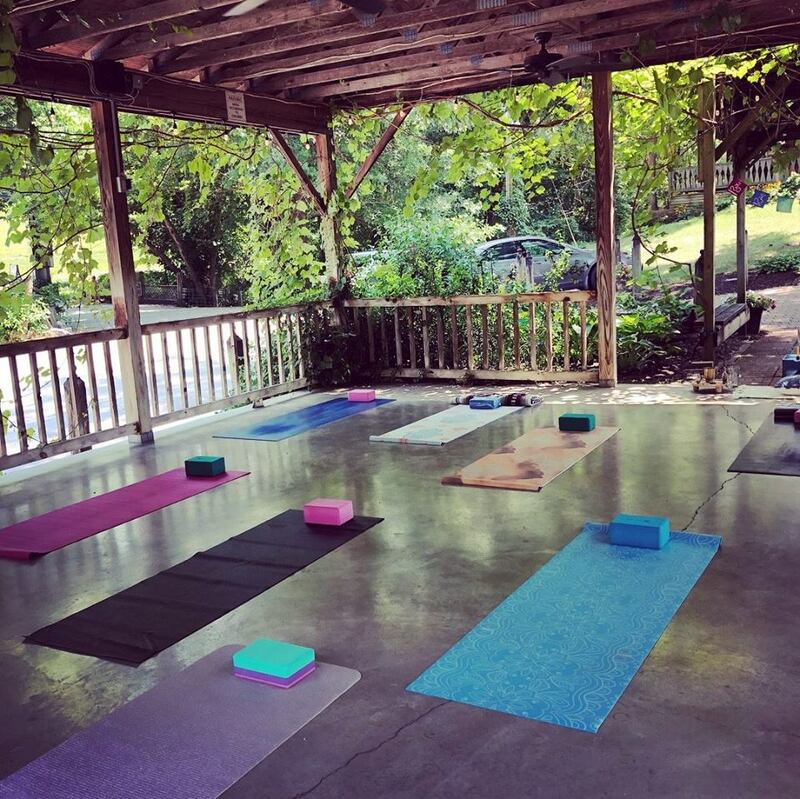 Her first yoga retreat made her realize the power of community, and upon returning home, she began looking for her own yoga “home”. She found that at a local studio, where she was inspired to learn more and become a certified instructor through their 200 hour teacher training program. Today, her goal is to continue to immerse herself in the study of yoga and meditation and to pass that knowledge and inspiration along to others. When Juli is not practicing or teaching yoga, she can be found teaching art to her high school students, making art, or spending time with her husband, children and grandchildren.